We are committed to ensure that all of our students are safe when accessing the internet within the academy. Academy-provided login accounts – Each student is provided with a unique login name for the network, Google and other software and systems, which is password protected. Whilst logged in the student must take precautions that no other person uses their terminal. Each student is responsible for any access to the network using their login name and so must keep their password secret. Any misuse that occurs under a login will result in disciplinary action being taken against that student. Document Storage – Each student is provided with enough storage via google drive, an online storage solution that can be accessed through a computer, tablet or mobile phone. Personal documents including, but not limited to, images, videos, games, audio files etc should not be stored at the academy. Pen Drives or other mobile storage devices should not be used. Internet – This is provided as an educational tool for student research. Undesirable sites have mostly been blocked. If one is discovered by accident it must be reported to IT Desk (help@cliffparkoa.co.uk) and your ICT Teacher who will block it. Any student who knowingly gains access to an undesirable site or bypasses a block to access a site will face disciplinary action. 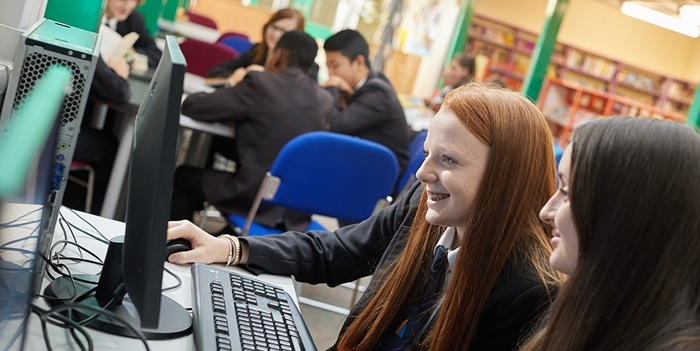 Computer Games – There may be times when a teacher will authorise the use of games for academic and/or enrichment purposes, but besides these occasions no computer game playing is permitted in the academy. Students found playing computer games will face disciplinary action. Sending or forwarding e-mails containing libelous, defamatory, offensive, racist or obscene content such as bad language, threats, insults etc. or anything that can be construed as bullying. Sending mass e-mails or forwarding chain letters. Sending games, game links or other inappropriate subject matter. The online world is an exciting place with limitless opportunities for fun and education. It can also be a dangerous place unless used properly. Make sure all laptops and computers are used in a communal area where the screen can be seen by all. Ask your child to charge any mobile devices (phones, Ipods, Ipads etc) downstairs and NOT in bedrooms. Only post photos that you would be happy to show your gran! Be careful posting photos showing your school badge, the outside of your house/school and photos on holiday wearing bathing suits etc.